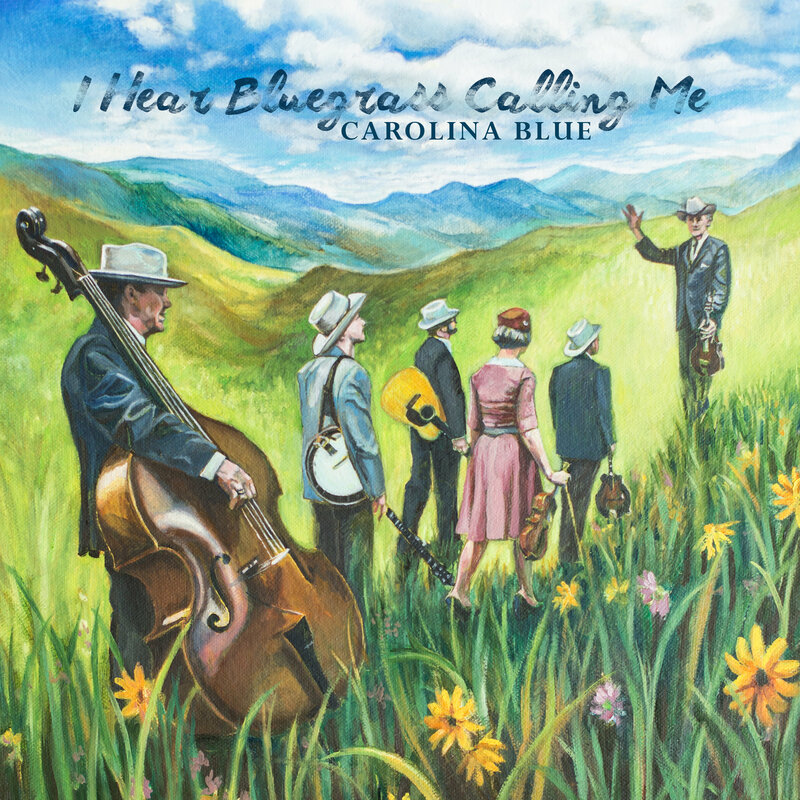 Pinecastle Records is proud to announce the signing of Carolina Blue and the release of a new album, “I Hear Bluegrass Calling Me” on January 18th, 2019. Bluegrass Today has premiered the first single from the album, “Rusty Rails” which is available today. Written by band members Bobby Powell and Tim Jones, the song will be featured at The International Bluegrass Music Association’s Songwriters Showcase at World of Bluegrass on Thursday, September 27 in the Raleigh Convention Center. 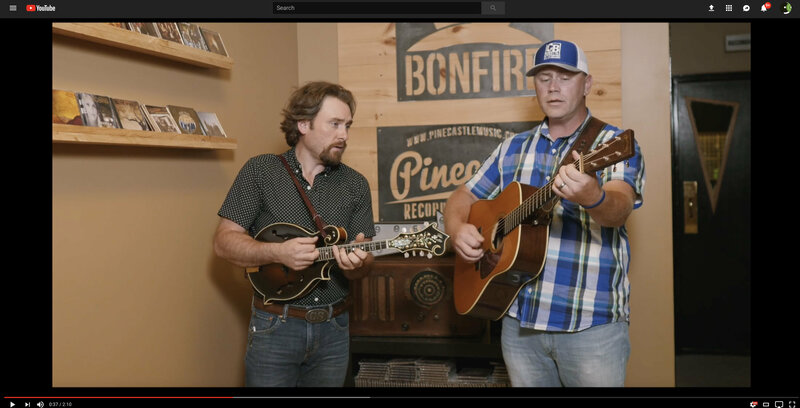 Founding band members, Tim Jones and Bobby Powell met at Pinecastle headquarters outside of Greenville, SC to sign their new recording contract and an impromptu performance in the lobby. Featuring their brother duet style they’ve become known for, get a sneak peak of the song “I’ll Meet Her In Heaven” from the upcoming release. Carolina Blue is a Brevard, NC based band whose roots run deep in the tradition of Bill Monroe. The band was formed in 2007 after the release of the album “Nothing So Blue” by Bobby Powell and Tim Jones. Carolina Blue won the South Carolina state bluegrass championship at RenoFest in 2011. They also received their first Vocal Group of The Year Nomination at the 2018 SPBGMA Awards Show. They have appeared on the hit TV show “Song Of The Mountains” as well as “The Bluegrass Trail” series on RFDTV. The band’s repertoire consists of original songs (including Tim Jones’ “Spring Will Bring Flowers”, which was recorded by 2014 IBMA entertainers of the year Balsam Range), many bluegrass favorites, and gospel too, all done in the traditional style. Band members are Bobby Powell on guitar and vocals, Timmy Jones on mandolin and vocals, Reese Combs on upright bass and vocals, James McDowell on banjo and vocals, as well as American and Canadian Grand Master Fiddle Champion, Aynsley Porchak on fiddle, who is also nominated for International Bluegrass Music Association’s Momentum Instrumentalist Award.